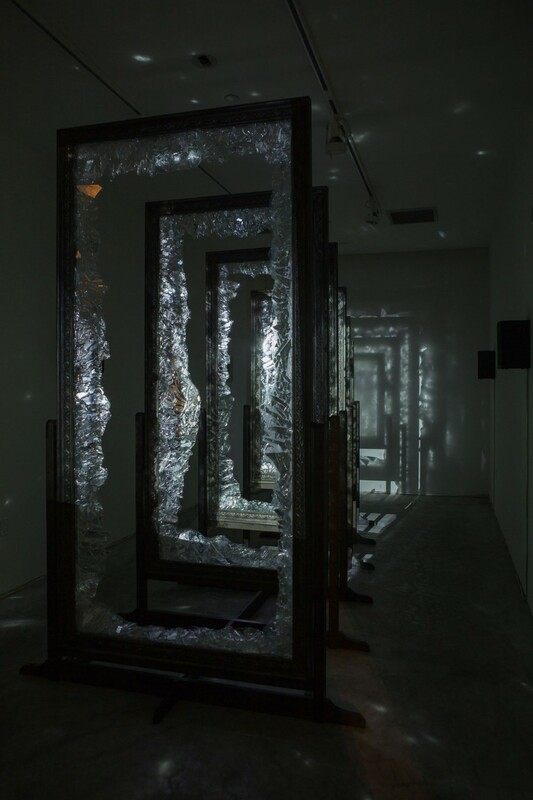 Dorian’s Gray integrates physical materials, light, and sound to construct a reflective metaphor on identity in today’s digital age. This work explores the complicated yet timeless questions of influence, superficiality, and entertainment as put forth in two books—The Picture of Dorian Gray by Oscar Wilde and The Narcissism Epidemic: Living in the Age of Entitlement by Twenge and Campbell. If the digital world fosters isolation, what evokes empathy? Which of our personas do we believe in—our social media portraits or our reflections in the mirror? What are the consequences of a digitally-created society in the psyche of a global community? Created for the Beyond Limits: Postglobal Mediations exhibition presented by the San Diego Art Institute (2014). 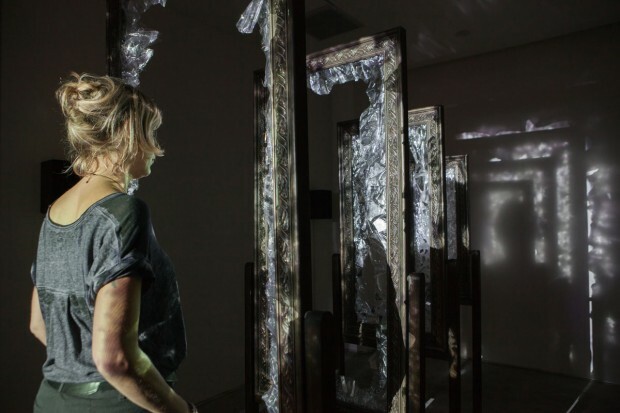 Dorian’s Gray was also shown at The Roswell Museum of Art as part of the Currents New Media, New Mexico Festival (2015).